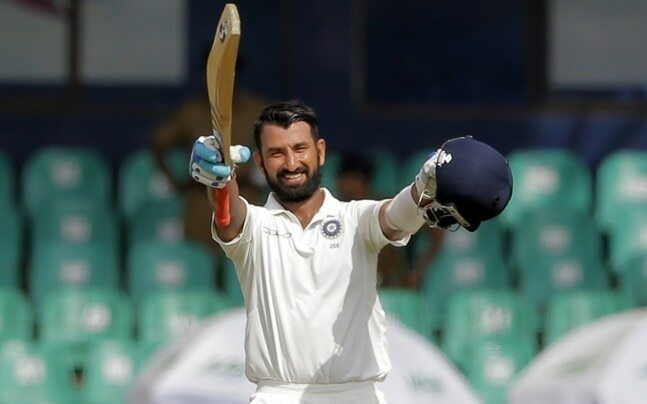 Rajkot, Nov 2: After scoring his 12th first-class double hundred against Jharkhand on the second day of their Ranji Trophy match, veteran Saurashtra batsman Cheteshwar Pujara became the first Indian cricketer to achieve the feat. With this, Pujara surpassed Vijay Merchant's record. Sunil Gavaskar and Rahul Dravid also have double hundreds in the format. Pujara struck a brilliant 204, which was also his sixth double hundred while playing for Saurashtra. Earlier, while playing for India, the right-hand batsman scored three double hundred. Two against Australia in 2012, 2016 and one against England in 2012.